Carolyn was born and raised in Chicago, IL. She moved to Beaumont, TX in the summer of 1975. She graduated at Forest Park High School in Beaumont in 1981 and Lamar University in 1983 with an Associate of Applied Science in Dental Hygiene. She remained in the Beaumont area working as a Dental Hygienist until June of 1991 when she moved to Diboll and joined Jordan Family Dentistry. Carolyn has been married to her husband, Wayne, since 1989, and they have two adult sons: Tyler and Austin. She enjoys spending time with her family, camping, hiking, snow skiing, scuba diving, traveling, volunteering, playing flute in her church orchestra and raising chickens. April has been with Jordan Family Dentistry since her senior year in high school. After working at the practice to fulfill her HOSA (Health Occupations Students of America) requirements, April found her calling to the dental field. Once she graduated from Hudson High School in 1998, April went on to study at Angelina College and Stephen F. Austin State University for two years. When she was accepted into the Dental Hygiene program at Tyler Junior College in 2000, she transferred there to complete her goal of becoming a Registered Dental Hygienist. 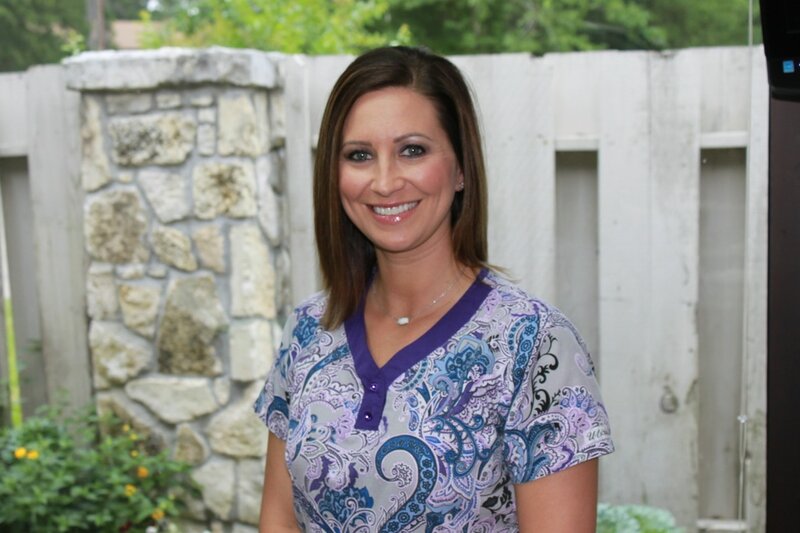 April began working at Jordan Family Dentistry as an RDH after graduating in 2002. She regularly completes continuing education courses to stay on top of the latest dental information, and also earned a non-surgical periodontal therapy specialization in 2004. April loves the practice because she enjoys her coworkersand working with the latest dental technology, which makes it easier for her to offer quality dental care to her patients. Apirl has a son and daughter, and enjoys spending quality time with her children and family. She is also a yoga instructor and loves working out. Megan was born and raised in Hudson, TX and currently lives in Lufkin with her husband, Justin. She attended Blinn College in Bryan, TX and graduated in 2006 with an Associate of Applied Science in Dental Hygiene. In her 10 years of working in the dental field, she feels at home at Jordan Family Dentistry and considers it a blessing to work for such a caring practice that truly puts their patients first. In her free time, she loves to spend time with friends and family. Her favorite things include: live music, reading, movies and traveling.